Hi, Bing has recently updated their imagery in a lot of places in Dhaka, Bangladesh and possibly world wide. While the new imagery is more recent, the old imagery had some advantages as the buildings were distinguishable in it because there were very less slanting of buildings. The new imagery however is harder to work with in dense areas because a lot of buildings get covered behind tall buildings. It was easier to draw with the old imagery and then compare with a newer one and then adding the new buildings. So, I was wondering, is there anyway I can use the previous Bing imagery? Any links? Thank you for the suggestion. 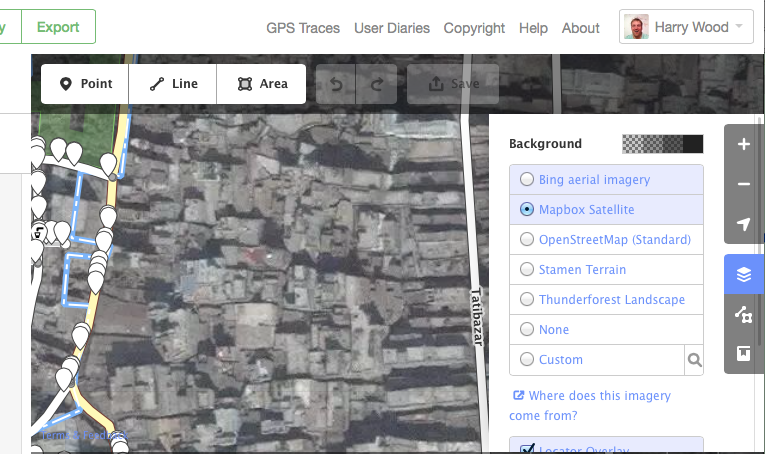 However, MapBox imagery and current Bing imagery are kind of the same with the slanted buildings. Was looking for the complete over the top view that Bing had previously. I have to cover a large number of dense areas and previously I did so by using the Bing imagery to draw out all the buildings and then comparing it with a newer imagery by Digital Globe and ESRI to add the new additions.